Exploding brain. 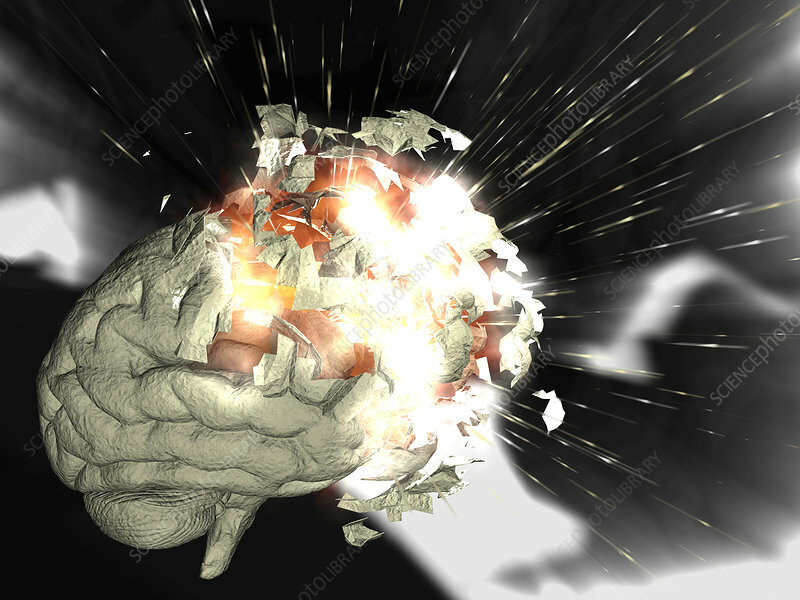 Conceptual computer artwork of a human brain exploding. This image could represent mental stress or complex thought processes leading to brain overload.